How To Get More Protein Into Your Diet? First thing first, what actually is protein? Protein is one of the major nutrients in our diet alongside carbohydrate and fat. If you think of it as lego there are 20 different pieces (amino acids) that are used in various sequences to make up protein. Eleven of these are classed as “essential’ meaning our body cannot make them and they must come from the diet. When a food is said to be a “complete” protein it means it contains all essential amino acids. Animal proteins tend to have better availability of essential amino acids, however, you can combine plant sources to get the full combo. 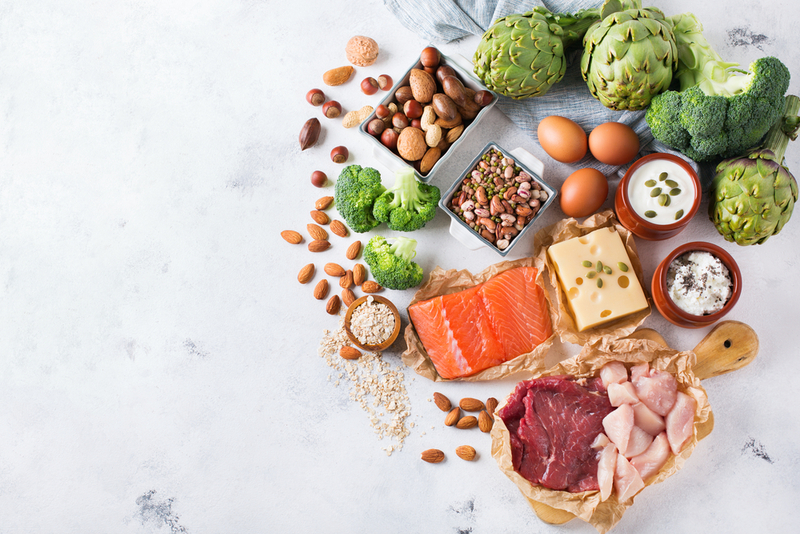 If you are active, it is important to get sufficient protein into your diet to support energy levels, fuel exercise and promote recovery to help become fitter, faster and stronger. Remember if you are a masters athlete (aged 40 plus) you will require even higher protein levels in your diet. It is important to spread out your protein intake throughout the day to ensure your consistently supplying your body with the goods (aka amino acids required to do the jobs needed). Aim to include ~15-20g of protein into snacks and ~20-40g of protein into main meals. Remember more is not always better, our bodies have limited capacity to digest and utilise protein. Generally, our diet provides us with enough protein to support training and racing without needing to supplement during exercise. There are some exceptions and these including; individuals with high training loads (or multiple sessions per day) and ultra-endurance sessions or events (2 hours or longer). When it comes to recovery the aim is to stop the body breaking down muscle so it can begin the repair process. The first step is to refuel within 30 minutes so your body can get the nutrients on board to do the job. Carbohydrate and protein are a good combination for this so aim to include ~20g of good quality protein in your immediate post-exercise snack then don’t forget to keep including it into meals and snacks to support ongoing recovery. Marewa is the co-founder is a qualified Sports & Exercise Nutritionist (Otago University), former New Zealand representative rower and elite road cyclist. Her passion in sports nutrition is reflected in PURE Sports nutrition which she co-founded. Made in New Zeland every ingredient used is carefully selected for quality and sports science performance.